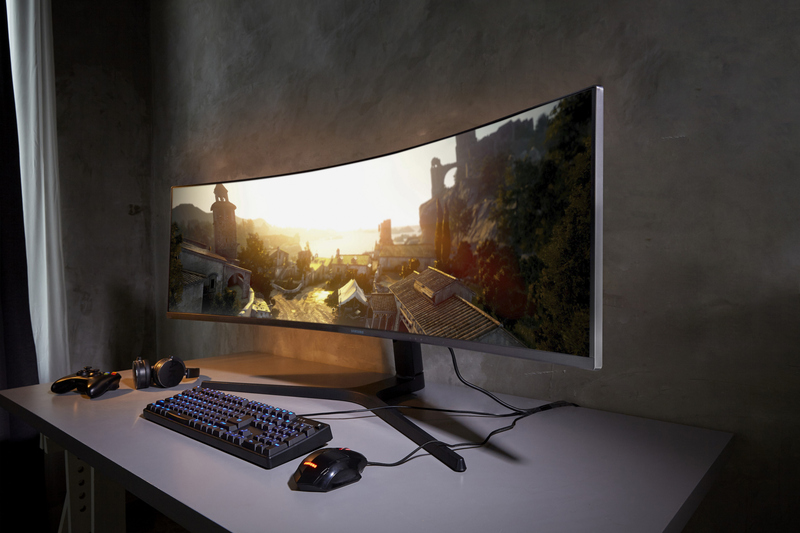 After the CHG90 model was released last year, Samsung adds a new model to the 49 "Ultrawide 32: 9 Gaming Monitor line with the recently announced CRG9. The biggest improvement over the previous iteration is that While the CHG90 had a resolution of 3820 × 1080 equivalent to two double full HD displays, the CRG9 has an original 5120 × 1440 resolution equivalent to two QHD displays (1440p). CRG9 is the world's first high-resolution super ultra-wide game monitor ed 32: 9 aspect ratio. It delivers a 120 Hz refresh rate with a fast 4ms response time on a 49-inch screen that minimizes image layer and motion sharpness, allowing you to keep up with fast play effortlessly. 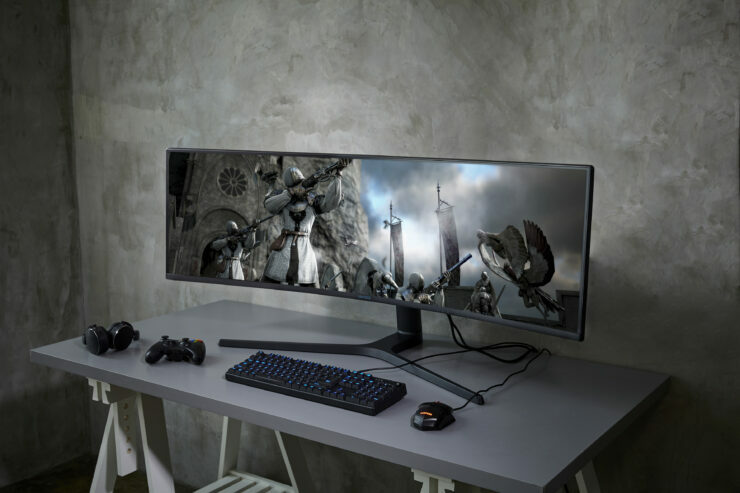 Built for a superior gaming experience, the screen also features AMD Radeon FreeSync 2 HDR technology to reduce stuttering, screen tearing, and intake delay to ensure the best frame price and smoothest gaming experience. Content really comes alive on the CRG9, with double QHD resolution (5120 × 1440) and HDR10 with a peak brightness of 1000 nits, giving super-fine detail in the brightest and darkest parts of an image. The HDR10 delivers unparalleled local dimming, and high contrast HDR contrasts provide sophisticated, spectacular highlights not available in non-HDR displays. The screen also utilizes Samsung's revolutionary Quantum dot technology for an exceptionally wide range of accurate color rendering, and a 1,800 mm screen curvature and ultra wide field of view for complete visibility. Equivalent to two 27-inch QHD 16: 9 monitors placed side by side, the super-32: 9 super-screen provides the ultimate multitasking flexibility, supported by PBP (Picture-by-Picture) functionality, so that Two video sources can be displayed on the same screen. CRG9 includes an HDMI port, two display ports, USB 3.0 and headphone connectivity options. Samsung has also designed the CRG9 with a smaller stand size for simplicity and flexibility in all gamers' space. 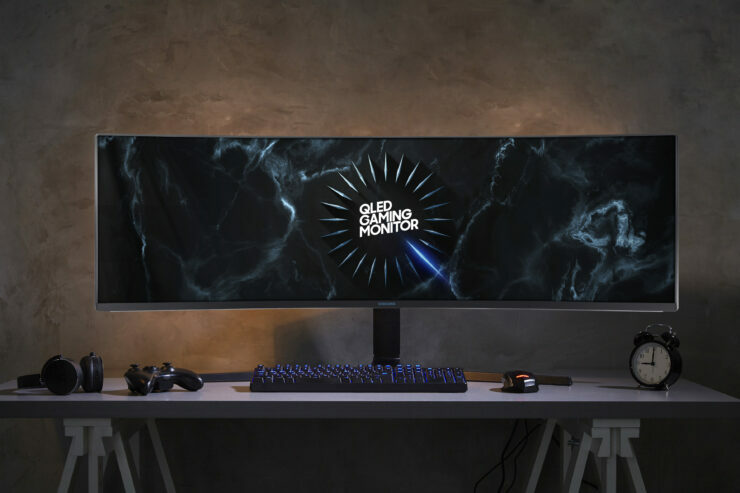 As part of its CES 2019 series, Samsung also announced two additional non-gaming screens, the so-called Space Monitor and UR59C aimed at content creators.